Tottenham's Luka Modric has been told by his chairman, Daniel Levy, that he is not up for sale. This was the clear message this evening as the pair met London. Despite this, the club may step up interest in Joe Cole as a replacement for Modric, should the playmaker finally decide to leave for Chelsea. Cole had a disappointing season in Merseyside and Redknapp sees him as a natural replacement for the Croatian star. 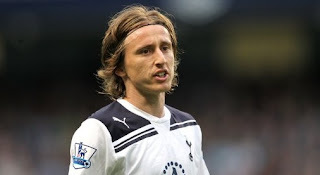 Harry Redknapp has himself reiterated that Modric would not be sold to Chelsea, or anywhere, though recent comments seemed less decisive. "It's difficult when crazy sums of money are being bandied about but we need to keep Luka and all our best players if we are to improve. We certainly don't want to sell him," the manager said. Chelsea have already made a £22m bid for the star and, despite it being rejected, are expected to increase this to nearer £30m. If reports are true that Tottenham are already lining up a replacement in Cole, Chelsea may indeed get their wish and purchase the Croatian. Today as Modric boarded a plane for London, the star appeared open with regards to his future. "Anything is possible" he said.